I have a few things in the works. So my sister D gave me a huge bottle of sweet almond oil. So of course I had to hit up Pinterest to see what beauty tips/products I could try with the oil. I figured while I was looking that up I would look into a few other beauty secrets. There are a bunch of pins out there about DIY beauty products and tips. I have recently been able to get a few of the items the pins call for at a deep discount so I couldn’t resist. 1) A product you can make at home to help diminish the dark circles under your eyes. 2) A trick to get your feet sandal/flip flop ready. Also help rid you of that nasty nail fungus. 3) A new way to wash your face. 4) Some deep conditioner treatments for your hair. 5) New ways to moisturize your face and body. Maybe several more DIY beauty tips once my other items arrive in the mail. Most of these the results if any will take a while so eventually there will be a follow up to these next few posts. Today lets talk about those dark circles we get under our eyes. Some people only have them after a few nights of low quality sleep, while others (me) tend to have those dark circles all the time. There are many pins recommending the same treatments for dark circles. Seems it must be working for somebody so I’m going to give it a go. FYI: I will show photos of the products but no photos of my results because this Gotha don’t do no pictures. But I will give you honest results. 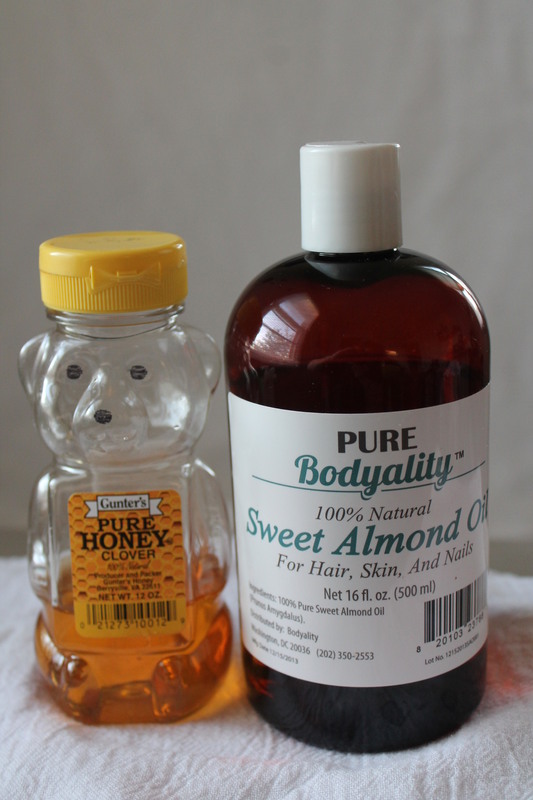 Sweet Almond Oil and honey. Some pins just use almond oil by itself others mixed with a little honey. I have both so that is what I’m going with. 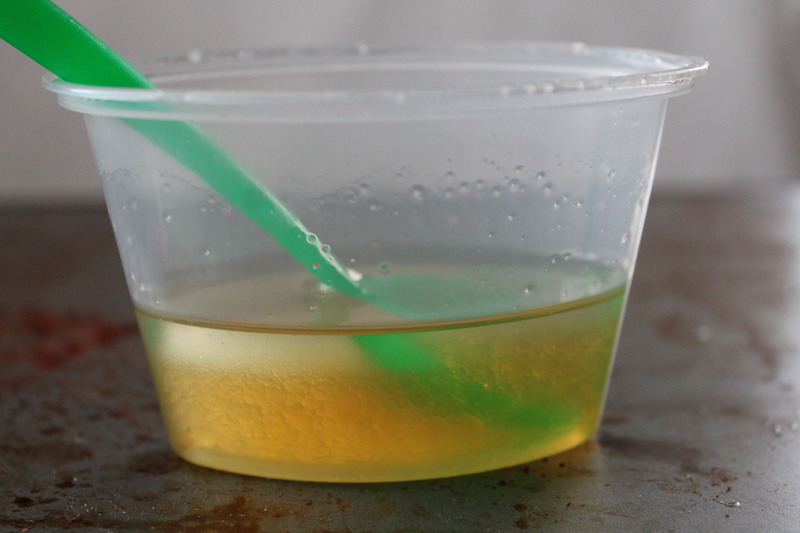 Pour equal amounts of the honey and almond oil in a container with a lid. Mix. Now watch it separate. You will have to mix this right before you use and be quick it separates fast. Apply this to the skin under the eyes every night before bed. I’m sure you know but I must stress this, do not get this in your eyes! I’ve done this three nights now. Have I noticed my dark circles diminishing? No, but the skin is soft and my under eyes doesn’t have that puffy look to it anymore. How long will this mixture stay good in your container? I do not know, I do know this when your oil (any oil) goes rancid you will notice it right away. It will have an ‘off’ and unpleasant smell to it. I will let you know hoe the peepers look in a few weeks. Thanks for joining me at the beginning of another Pinteresting journey in my life. Their crime: they don’t mix well. Yet they still like to hang out together. The honey I picked up at my local grocery store. The almond oil was a gift from my sister. She ordered it from Amazon.